If you ever played FarmVille on Facebook, you have Tom Bollich to thank. But these days the visionary gamer is working in a new pasture: legalized marijuana. "I enjoy new industries. 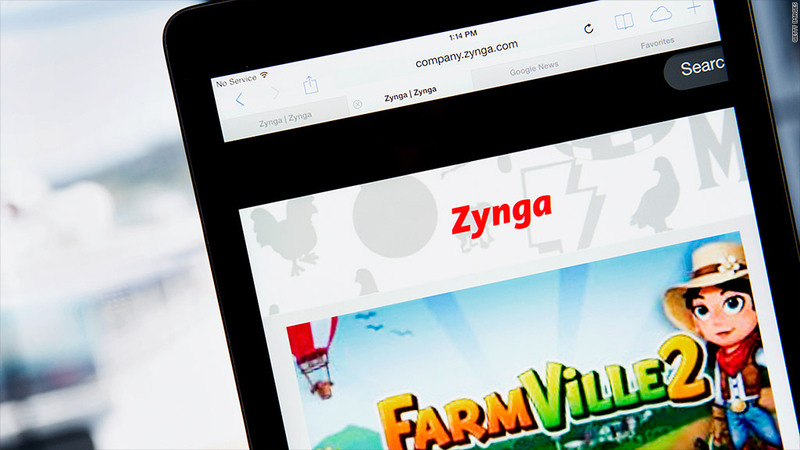 You're able to come in, help shape it and set the groundwork before a lot of the major players come in," said Bollich, who co-founded Zynga (ZNGA) in 2007. Today he's the CEO of Surna, a Colorado company that sells chilling systems and other equipment used in growing commercial marijuana. "It does remind me a little bit of Zynga. We had a company that was built on someone else's platform. We were beholden to Facebook (FB) or MySpace or whatever platform we were on. Now we are at the mercy of the whims of politicians and voters," he said. Legal marijuana: Those whims are increasingly moving in the favor of marijuana entrepreneurs. Last week's midterm election paved the way for legalized marijuana in Oregon, Alaska and Washington, D.C. Voters in states like California, Massachusetts, Maine and Nevada may have the chance to do the same in 2016. Bollich, whose first job was in artificial intelligence for robots, said this gradual adoption is actually better for his business. "That way it's more manageable. Each state has to build up its infrastructure from the ground up, which for us is quite good," he said. Surna's products help with the power, water and lighting challenges facing licensed, commercial marijuana growers. These growers are often very inefficient, using tons of electricity that jack up their expenses. Legal headaches: Investors should remember that while the legalization movement has gained momentum, publicly traded marijuana companies remain risky investments. These penny stocks trade on thinly-regulated and highly speculative over-the-counter markets. Just look at Surna's stock, which traded at $6 in April but today is worth just 37 cents. And there are obvious regulatory obstacles given that legalized cannabis is still an emerging and controversial industry. "This industry is rife with legal headaches. It's really complicated. There are a lot of disappointments," said Bollich. What's next for Surna? Still, the shifting political winds have investors seeing dollar signs. ArcView Group, a marijuana research and investment firm, estimates the legal pot business will generate $2.6 billion in revenue this year and more than $10 billion in five years. Bollich said the company is "actively" looking for acquisition targets as it attempts to capture a greater percentage of a commercial grower's build out costs. He pegs that figure at just 10% now and figures it could rise to 20% or 30% by expanding into more areas like feeding systems or even data. Eventually, Bollich wants Surna to create a software system that integrates marijuana growers' systems and allows them to monitor their operations from a smartphone. "I am a programmer after all," he said.